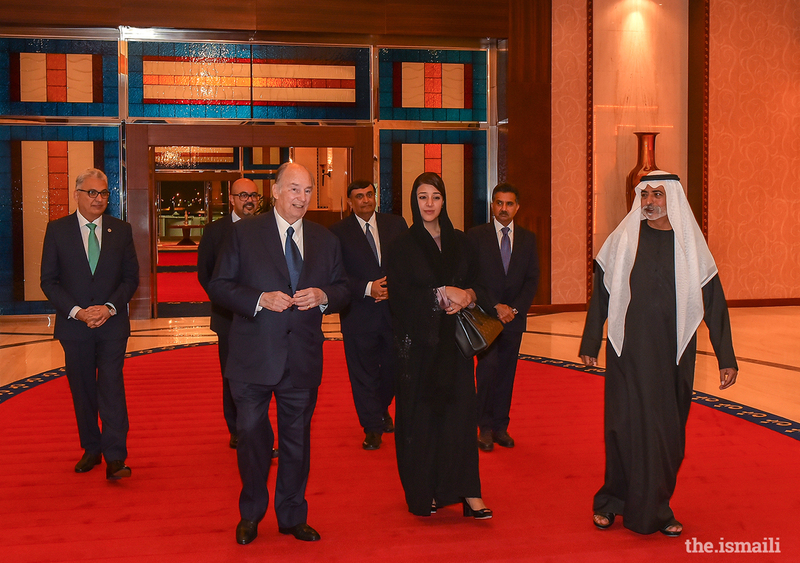 Mawlana Hazar Imam is welcomed by Her Excellency Reem Bint Ebrahim Al Hashimy, Cabinet Member and Minister of State for International Cooperation, and His Excellency Sheikh Nahayan Bin Mabarak Al Nahayan, Minister for Tolerance upon his arrival in Dubai. 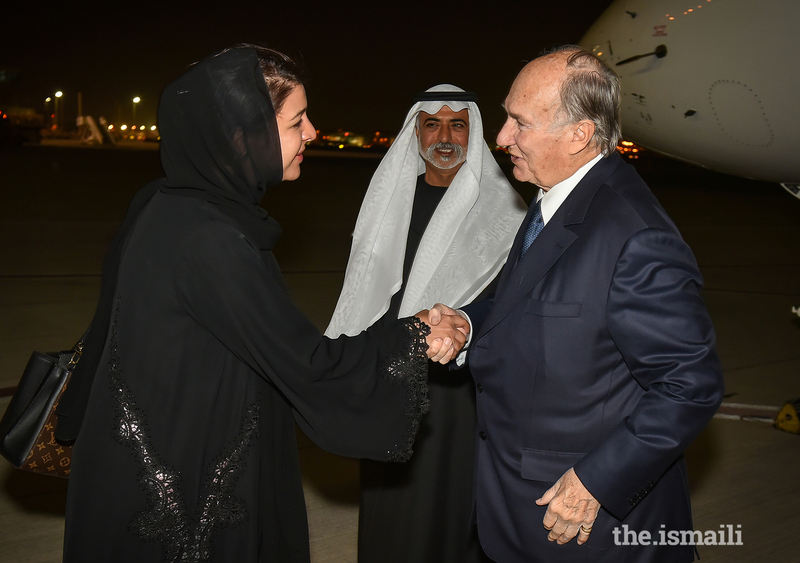 Mawlana Hazar Imam is welcomed by His Excellency Sheikh Nahayan Bin Mabarak Al Nahayan, Minister for Tolerance, and Her Excellency Reem Bint Ebrahim Al Hashimy, Cabinet Member and Minister of State for International Cooperation upon his arrival in Dubai. 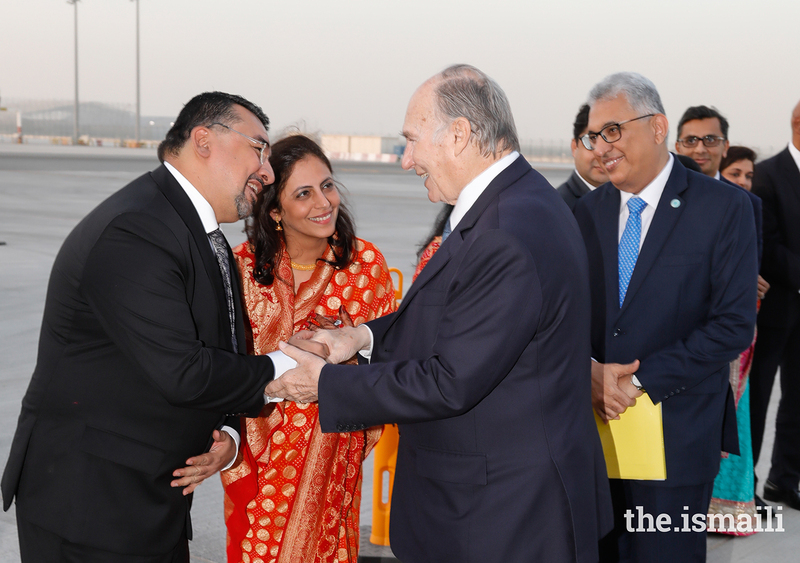 Mawlana Hazar Imam greets leaders of the Jamat upon his arrival in Dubai. 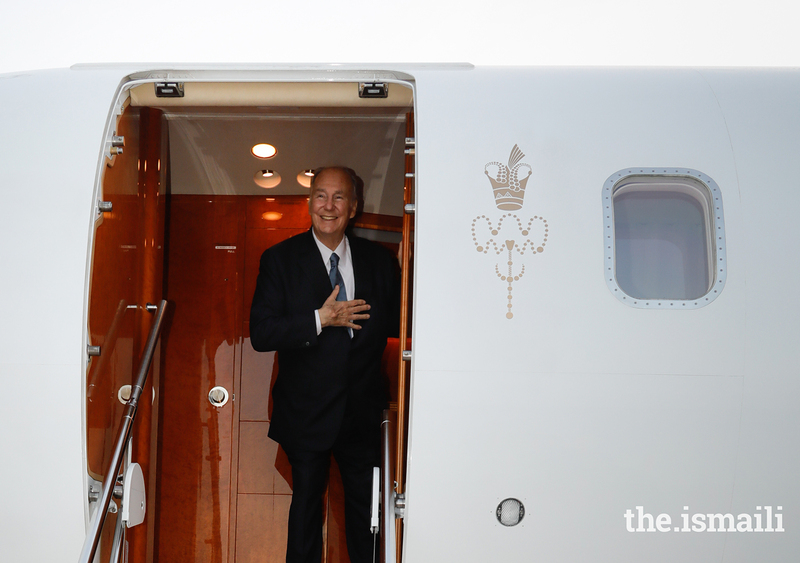 Mawlana Hazar Imam arrived in Dubai for his Diamond Jubilee visit to the United Arab Emirates and was received by both government and Jamati leaders. 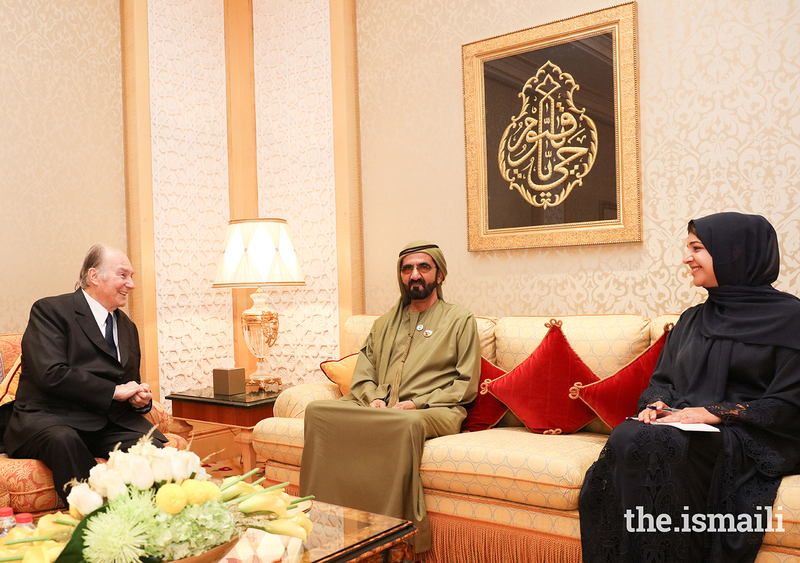 Mawlana Hazar Imam in conversation with His Highness Sheikh Mohammed bin Rashid Al Maktoum, the Vice President, Prime Minister and Ruler of Dubai. 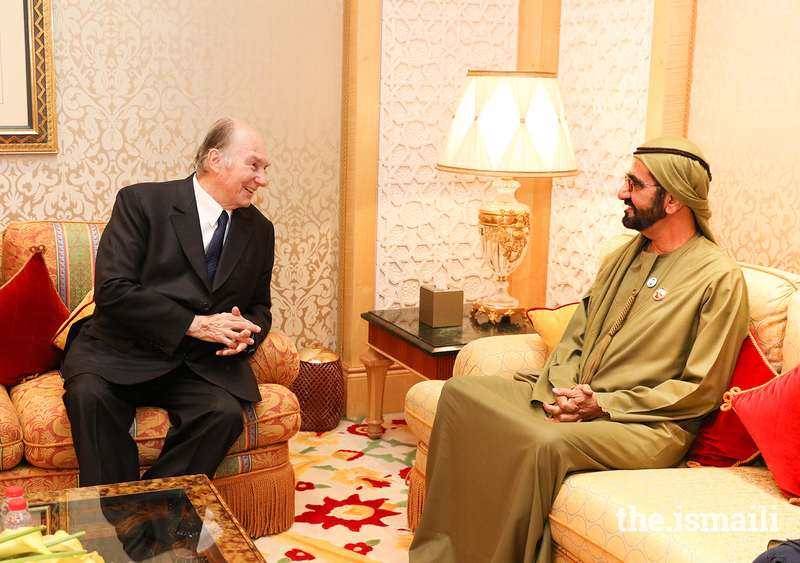 Mawlana Hazar Imam meeting with His Highness Sheikh Mohammed bin Rashid Al Maktoum at Zabeel Palace. 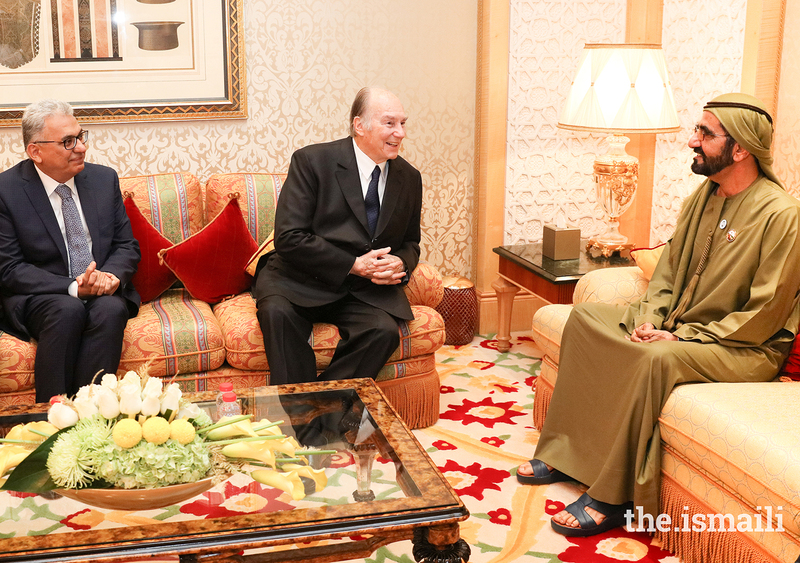 Mawlana Hazar Imam in discussions with His Highness Sheikh Mohammed bin Rashid Al Maktoum and Her Excellency Reem Bint Ebrahim Al Hashimy at Zabeel Palace during his Diamond Jubilee visit to the United Arab Emirates. 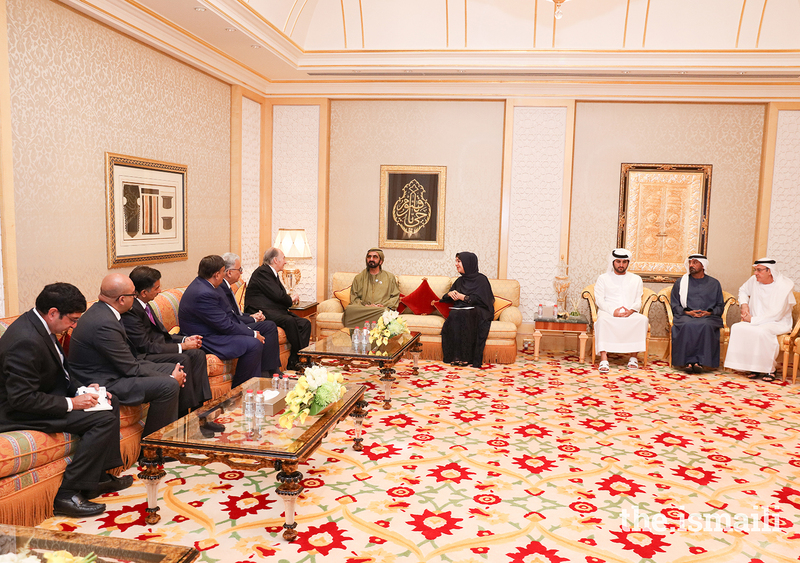 Mawlana Hazar Imam in conversation with His Highness Sheikh Mohammed bin Rashid Al Maktoum and Her Excellency Reem Bint Ebrahim Al Hashimy, together with their respective delegations at the Zabeel Palace in Dubai. 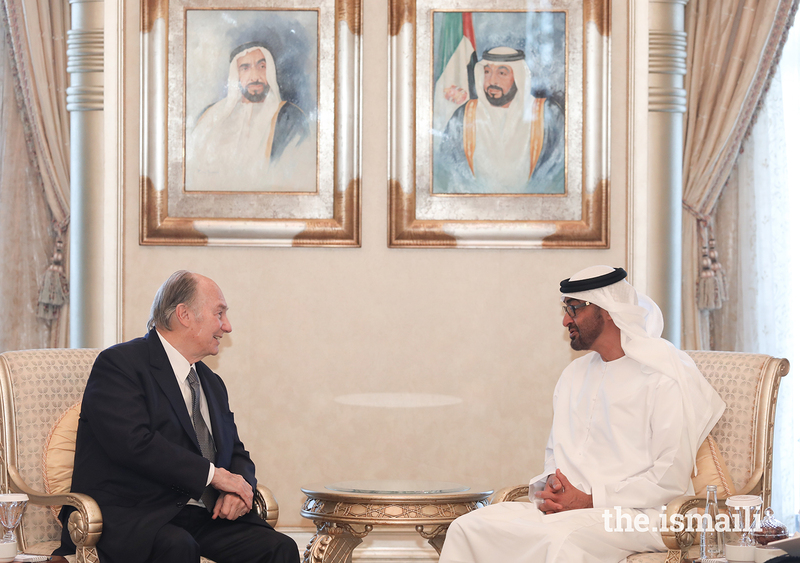 Mawlana Hazar Imam in conversation with His Highness Sheikh Mohammed bin Zayed Al Nahyan, Crown Prince of Abu Dhabi and Deputy Supreme Commander of the UAE Armed Forces. 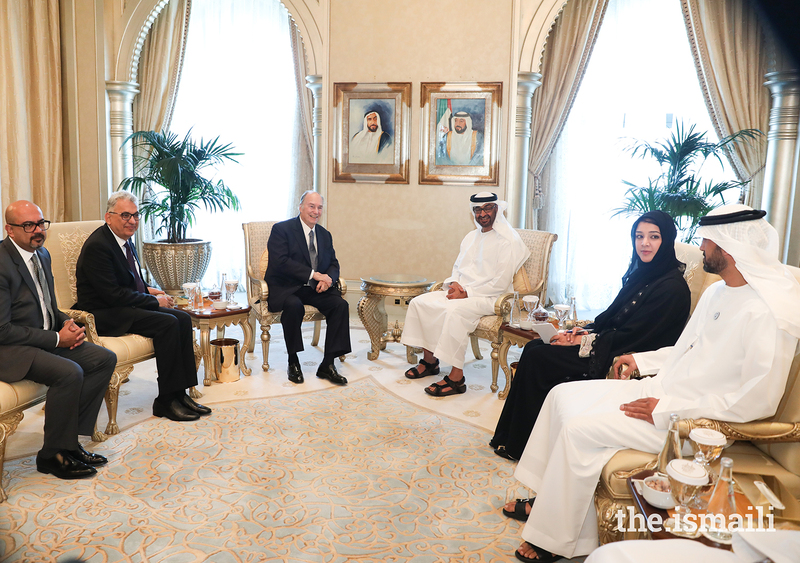 Mawlana Hazar Imam in conversation with His Highness Sheikh Mansour bin Zayed Al Nahyan, Deputy Prime Minister and Minister of Presidential Affairs. 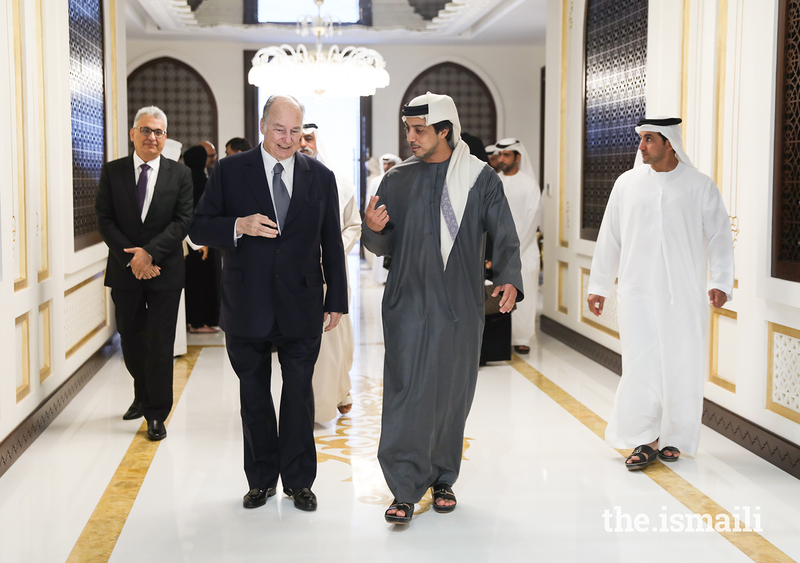 Mawlana Hazar Imam walks with His Highness Sheikh Mansour bin Zayed Al Nahyan. 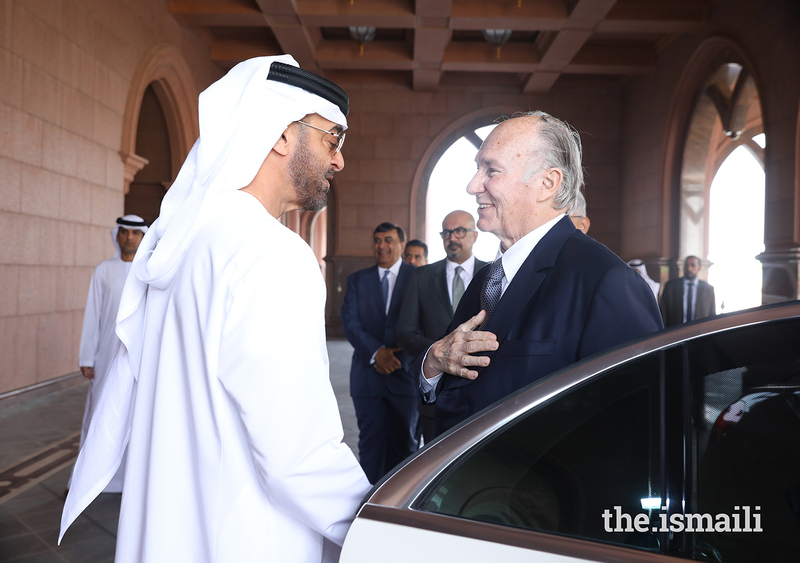 His Highness Sheikh Mohammed bin Zayed Al Nahyan bids farewell to Mawlana Hazar Imam after their meeting in Abu Dhabi. 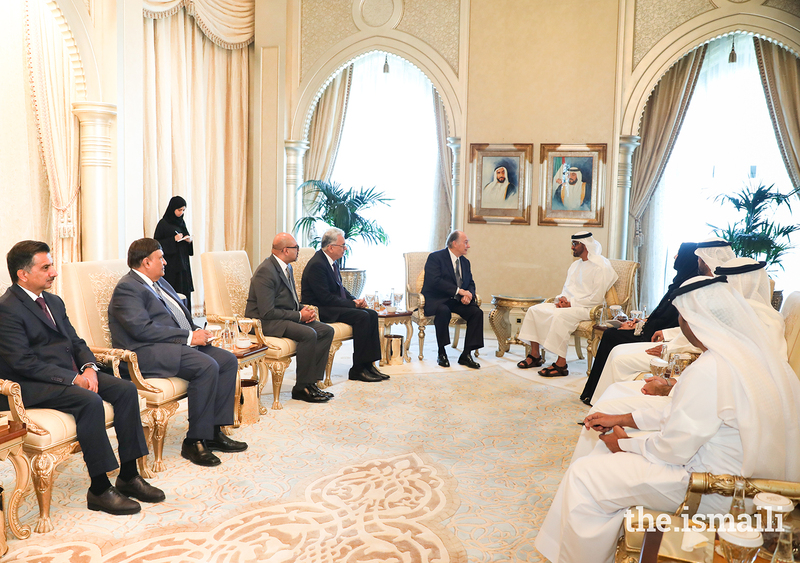 Mawlana Hazar Imam exchanges views with senior officials of the UAE government, His Highness Sheikh Mohammed bin Zayed Al Nahyan, Her Excellency Reem Al Hashimy, as well as with leaders of the community. 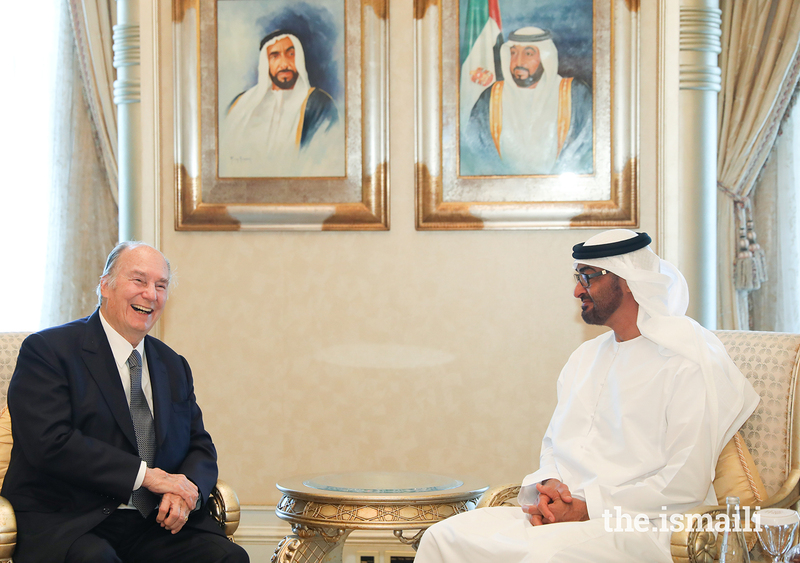 Mawlana Hazar Imam shares a light moment with His Highness Sheikh Mohammed bin Zayed Al Nahyan. 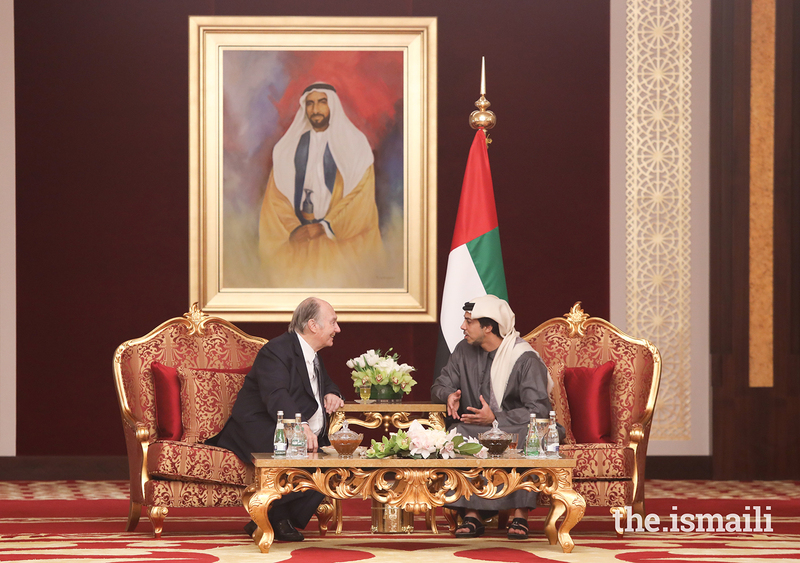 Mawlana Hazar Imam and His Highness Sheikh Mohammed bin Zayed Al Nahyan accompanied by their delegations. 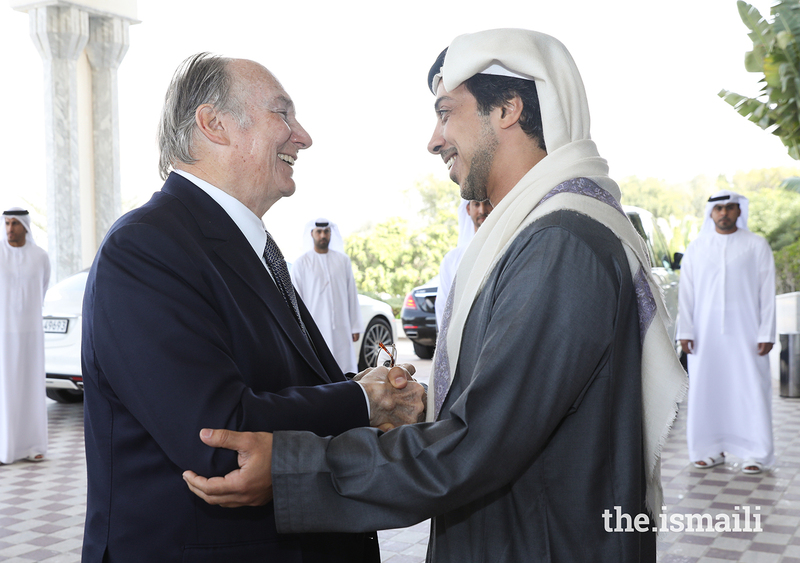 His Highness Sheikh Mansour bin Zayed Al Nahyan welcomes Mawlana Hazar Imam. 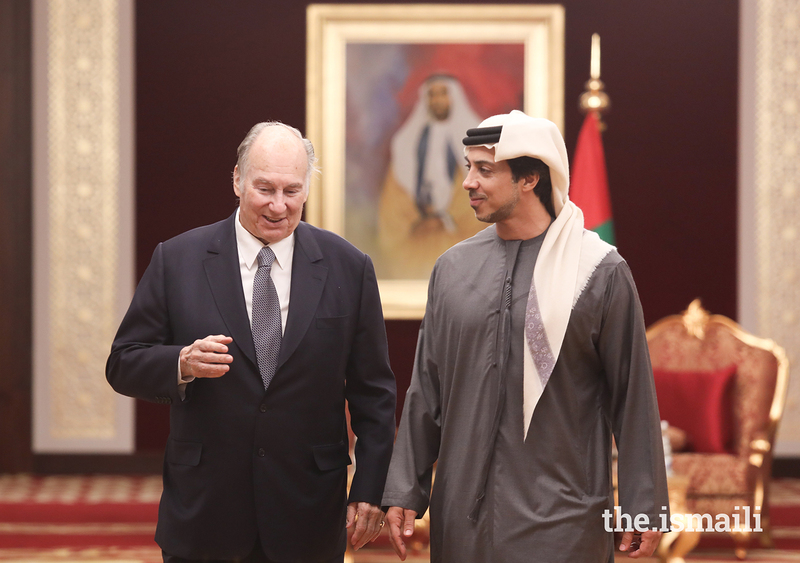 Mawlana Hazar Imam in Abu Dhabi with His Highness Sheikh Mansour bin Zayed Al Nahyan. 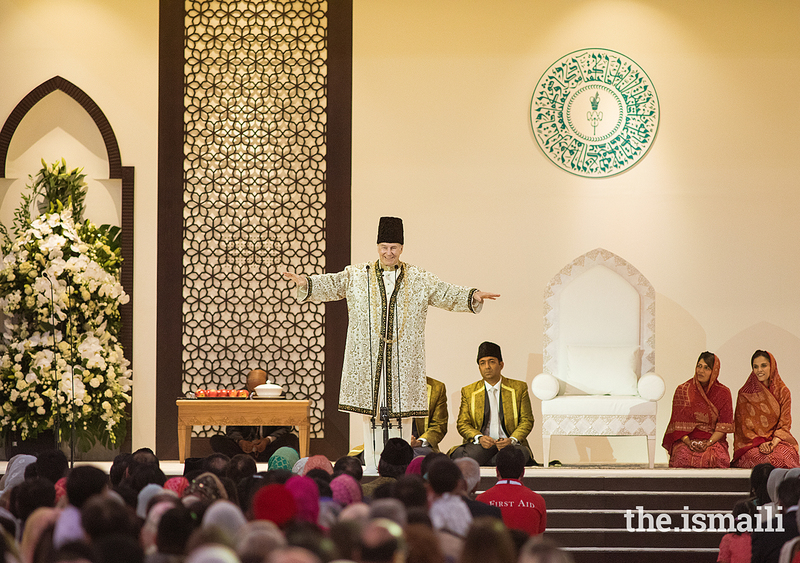 Mawlana Hazar Imam addresses the Jamat during the Diamond Jubilee Darbar held at Dubai World Central. 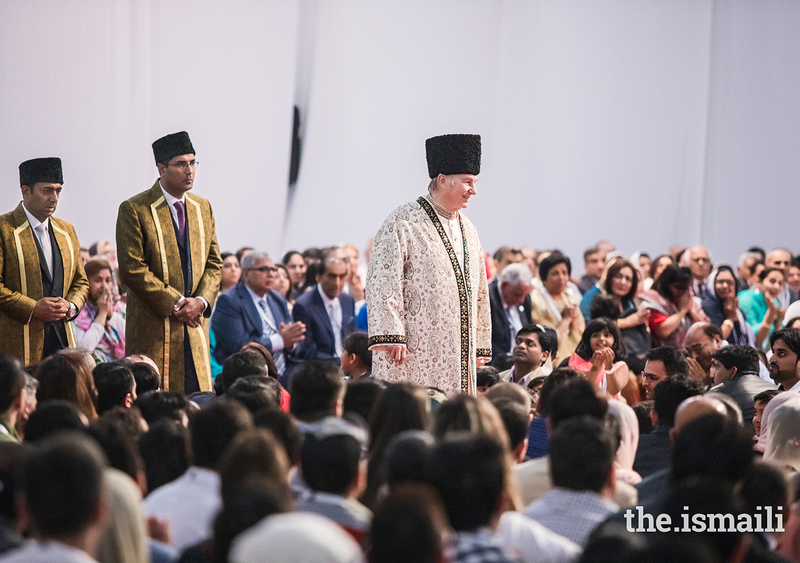 Mawlana Hazar Imam walks through the Jamat during the Diamond Jubilee Darbar in Dubai. 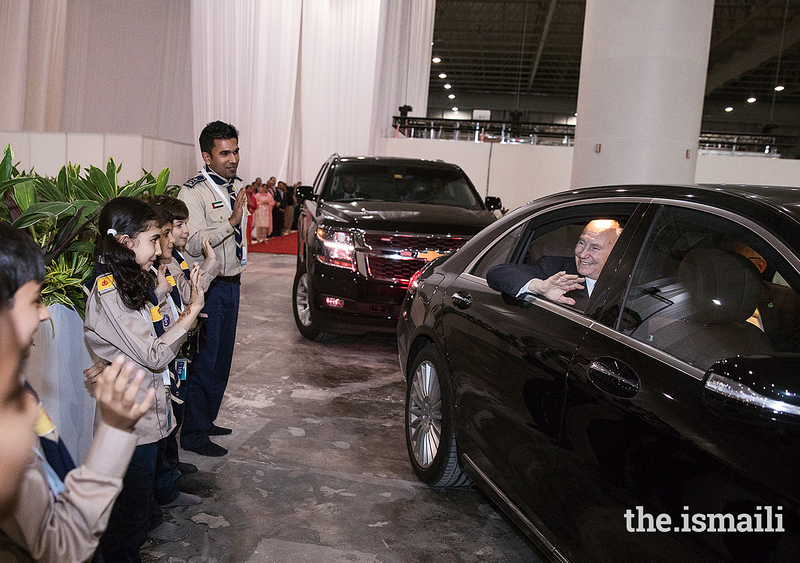 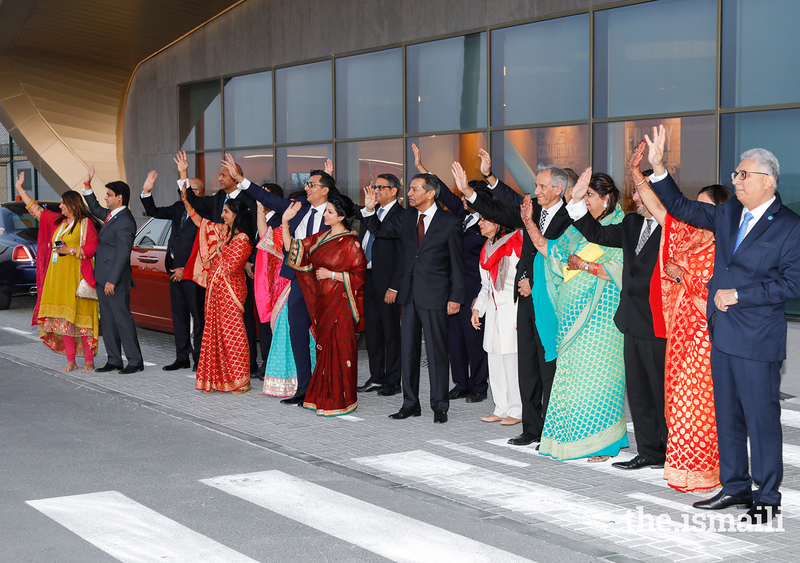 A lineup of Aga Khan Scouts and Guides bid farewell to Mawlana Hazar Imam upon his departure. 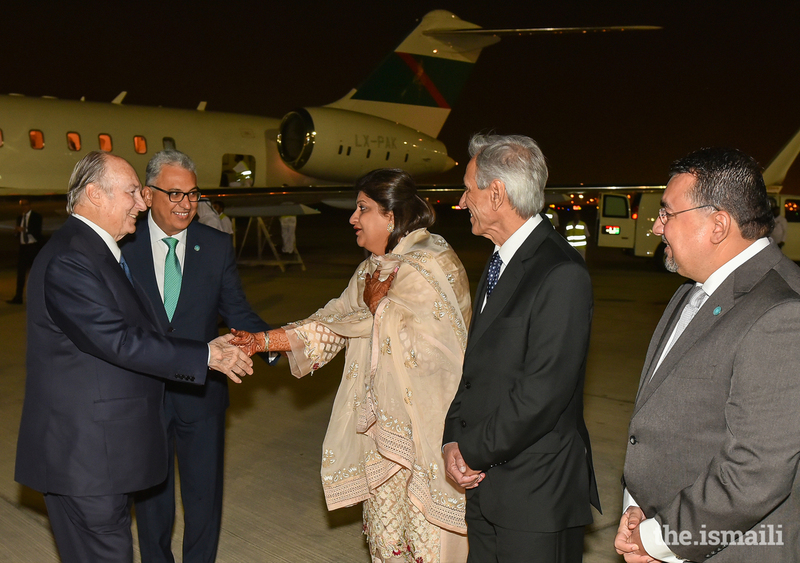 Vice President of UAE Council Aziz Merchant and his wife bid farewell to Mawlana Hazar Imam as President Amiruddin Thanawalla looks on. 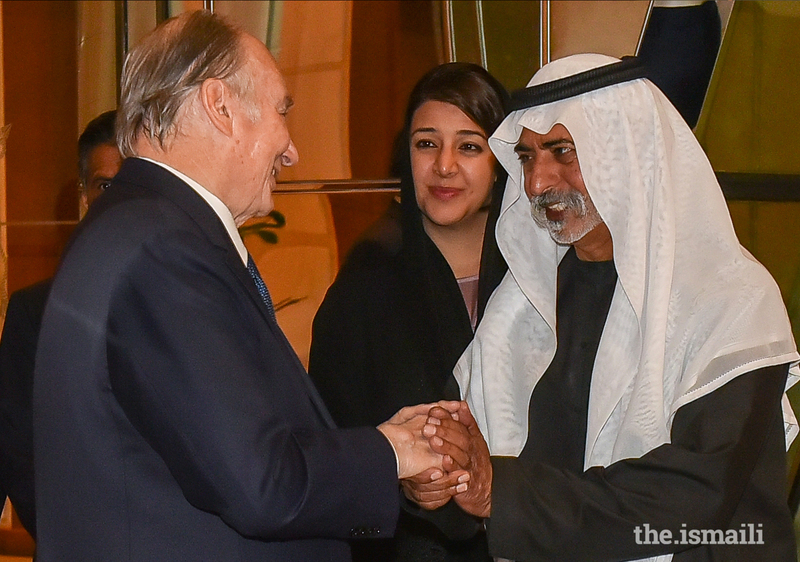 Mawlana Hazar Imam bids Khuda Hafiz to the assembled leadership before departing the UAE. 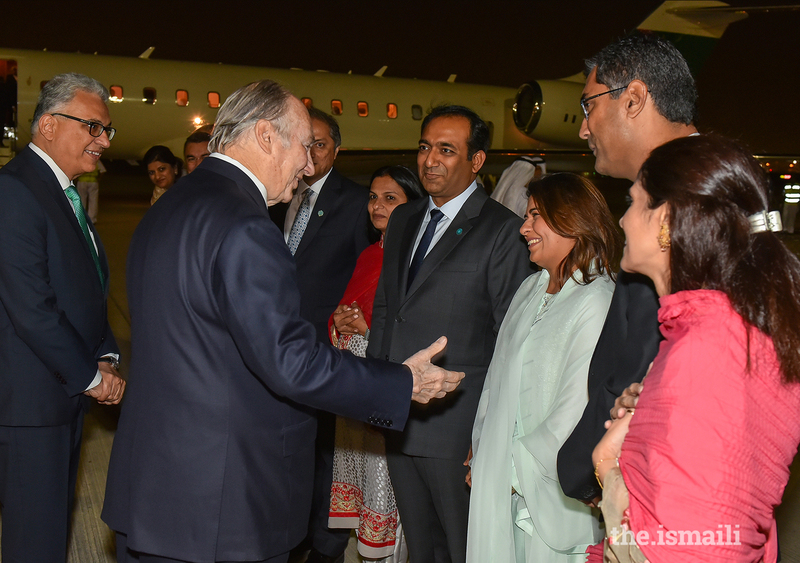 Leaders of the Jamat wave an emotional goodbye to Mawlana Hazar Imam as he departs after the four-day Diamond Jubilee visit to the UAE.